Our second in a series of Sunday Bloody Mary goodness comes from Powell and Mahoney Limited. 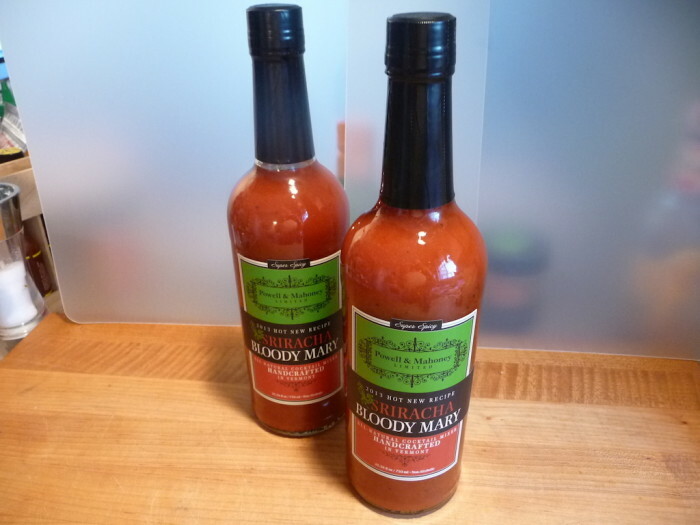 Their “Super Spicy” Sriracha Bloody Mary mixer is all natural, gluten free, and is “handcrafted in Vermont”. 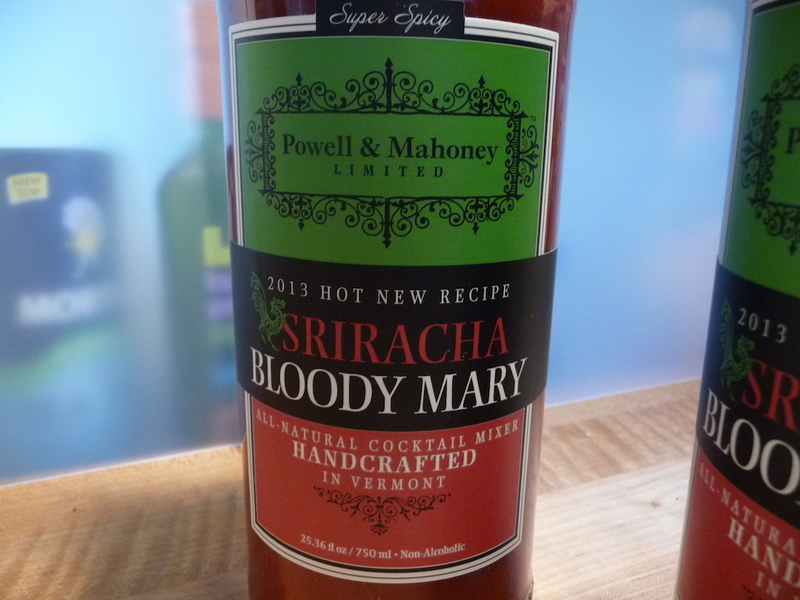 One of the newest flavors in the line-up of 12 mixers from Powell & Mahoney, Sriracha Bloody Mary packs quite a punch of spice and flavor. 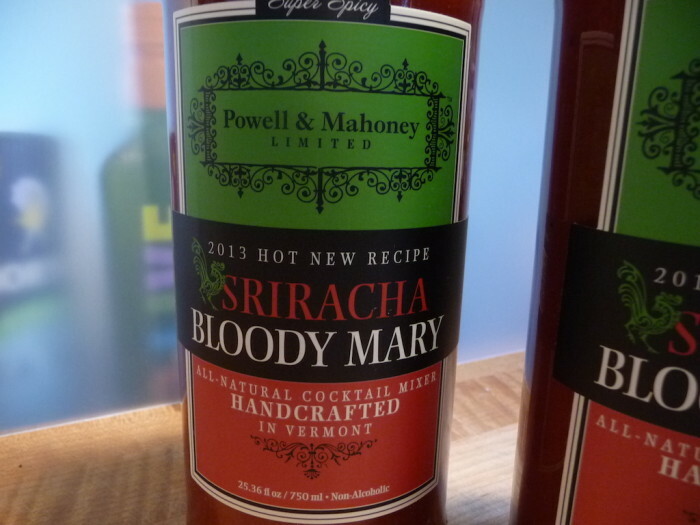 We reviewed Powell & Mahoney’s Original 1926 Recipe Bloody Mary mixer last year, and that one was pretty spicy all on its own – Sriracha Bloody Mary kicks the flavor and heat level up a few notches. Based on the ingredient list, I’m guessing they are using a proprietary sriracha recipe that includes cayenne and red jalapeño peppers, but no garlic. So this is a different creature here, and not the usual “rooster sauce” in the plastic bottle. Ingredients: filtered water, tomato paste, Sriracha (cayenne pepper puree, water, organic cane sugar, red jalapeno peppers, distilled vinegar, spices, xanthan gum, citric acid), distilled vinegar, cane sugar, organic gluten-free vegan worcestershire sauce (organic apple cider vinegar, organic molasses, organic wheat-free tamari (water, organic soybeans, salt), filtered water, organic evaporated cane juice, salt), organic lemon juice concentrate, organic ginger puree, organic tamarind, organic chili pepper, organic garlic powder, xanthan gum, organic shiitake mushrooms, organic allspice, organic cloves, organic orange extract, organic lemon extract, natural smoke flavor, natural onion flavor (onion oil), horseradish, sea salt, onion dried, dried garlic, citric acid, lemon juice concentrate, celery seed. Texture & Appearance: – Very thick and slightly pulpy with a bright red color. I love a thick bloody mary mixer like this one. After all, a bloody mary is practically breakfast, right? So the thicker, the better in my opinion. Taste Straight Up: – An aroma of fresh crushed tomatoes is up front, hinting of homemade pasta sauce. 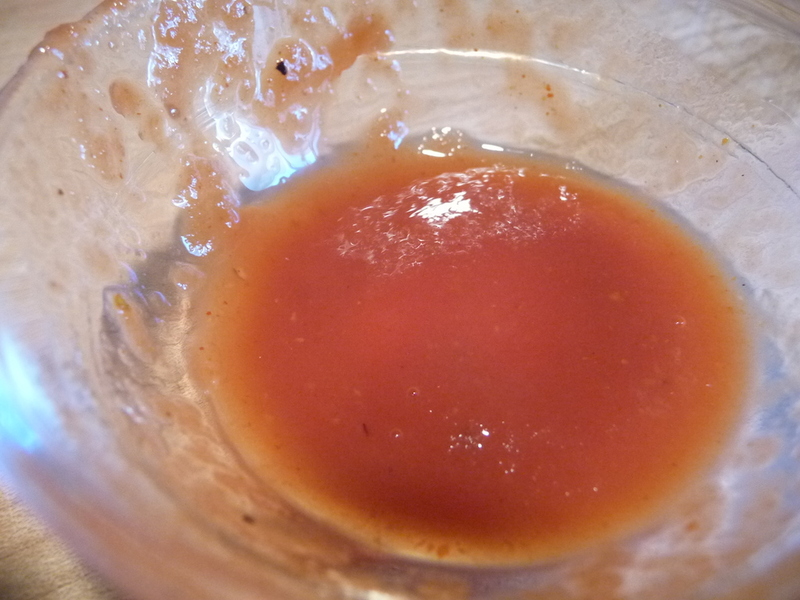 But the first taste is all fresh tomato with a big hit of chile peppers and heat, with a nice, mild sweetness. After the chile pepper profile, the next biggest flavor to me is the dark, almost umami taste of the Worcestershire sauce. Almost exactly the same dark flavor component as their original Bloody Mary mixer. I find this part of the overall flavor to be delicious! I love the all natural Worcestershire blend they use, and find it much more enjoyable than the usual Lea & Perrins style sauce. The supporting players, or ingredients, don’t really stand out. The acids, mushrooms, allspice and clove, and even the garlic and horseradish are very muted. Heat Level: – The heat blossoms in the back of my throat and makes my head sweat. It’s a pungent and sharp burn, but doesn’t last long, thus encouraging you to enjoy each sip. 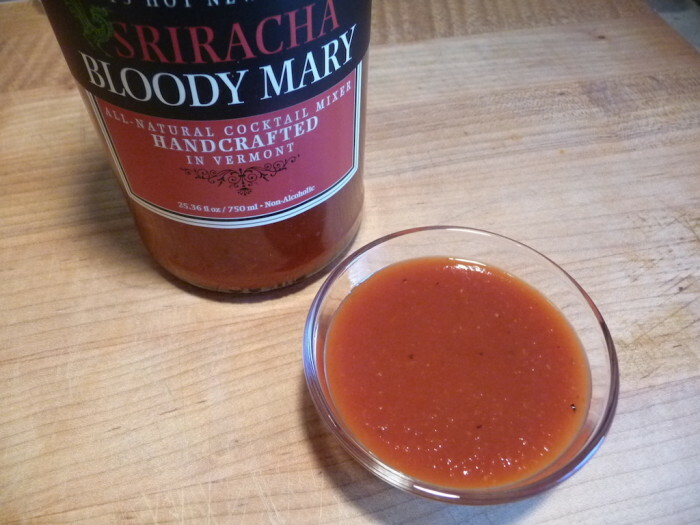 This is one of the hottest bloody mary mixers I’ve tried so far. Label/Graphics: – Just as classy as all of their labels, this one includes an iconic red rooster in front of “Sriracha”. You gotta love your Bloody Mary hot to enjoy this mixer. It doesn’t mess around. And yet, as good as it stands on its own, you could certainly doctor it up with some additional horseradish or garlic, and lime or lemon juice for starters. Powell & Mahoney, Ltd. was founded by two-beverage industry veterans who were inspired by the lack of quality mixers made available to consumers. Noticing a true need in the market, the duo combined their expertise and passion and launched the successful mixer brand. Powell & Mahoney, Ltd. has reinvented classic cocktail recipes by swapping out artificial flavoring and preservatives for hand selected, better-for-you ingredients. I hope you Bloody Mary lovers enjoyed learning about Powell & Mahoney’s Sriracha Bloody Mary Mix. Please leave a Comment below to share anything Bloody Mary! We love to learn too! 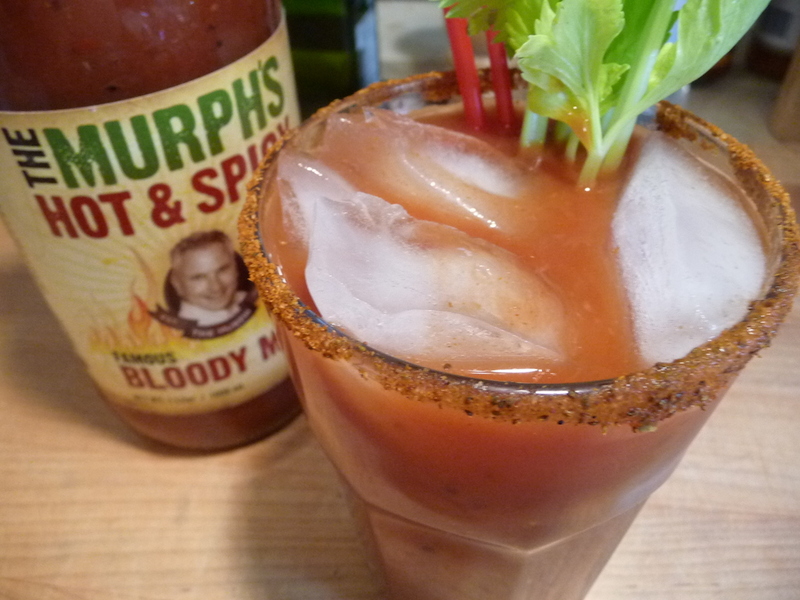 The Murph’s Hot & Spicy Famous Bloody Mary Mix is their newest and spiciest version of the very tasty and successful “The Murph’s Famous Bloody Mary Mix”. The original version is a stellar stand-alone mixer that is as delicious on the rocks as a breakfast beverage as it is for a “wake me up” adult vodka Bloody Mary. Now that the football season is over, and the worst Super Bowl of all time is history… what do we have to look forward to on Sundays? Over the next few weeks, on Sundays, we’ll bring you our reviews of some Bloody Mary Mixers that we are sure you will enjoy. These are some of the best of the best… so let’s get started. We loved the original Murph’s Famous Bloody Mary Mix. 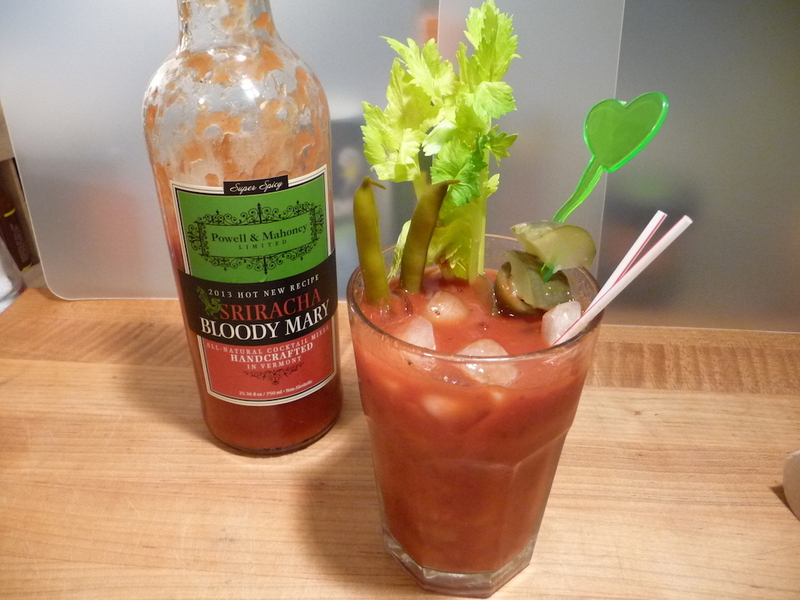 That 5 Star mixer won the top spot in our Bloody Mary Mix Roundup. Let’s look at Murph’s new Hot & Spicy version. Ingredients:water, tomato paste, worcestershire (distilled vinegar, corn syrup, water, salt, garlic powder, spices, tamarind, natural flavor), lemon juice concentrate, horseradish, lime juice concentrate, salt, cayenne pepper sauce (cayenne pepper, vinegar, xanthan gum), celery salt, black pepper, garlic & onion. Texture: Thick and pulpy. This mixer fills the mouth with a thick, savory flavor and a mouth full of taste. Very satisfying. Standing alone, as a non-alcoholic beverage, it’s delicious. 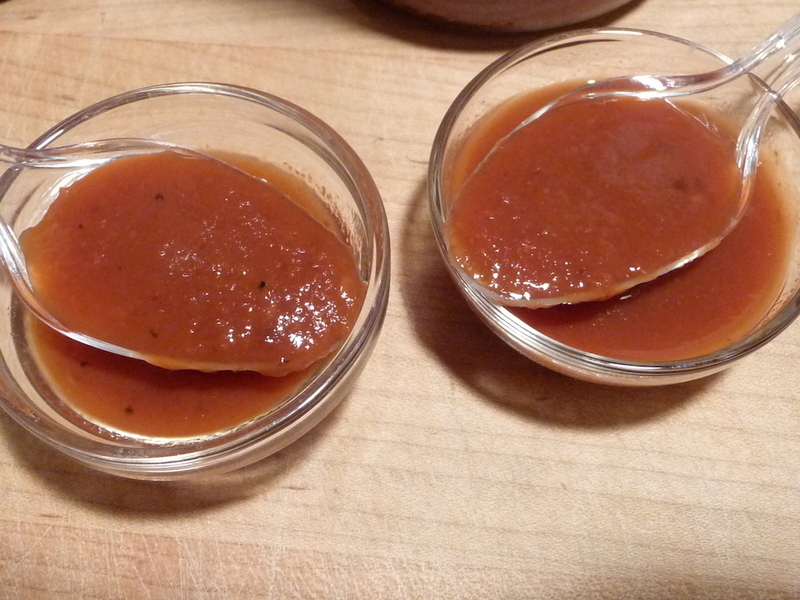 Original, l. Hot & Spicy, r.
Taste: The cayenne hot sauce really shines here. Personally, I prefer more horseradish flavor, but the cayenne is a nice change. Many readers and fans of cayenne sauces will love this blend. Spicy is the key word here. Much spicier than the Original. Therein lies the rub… as much as we like our hot sauces spicy, we prefer our BBQ sauces BBQ-y and our Bloody Mary Mixers – well, bloody. We like them tomato-y with nice spice blends. We would rather add our own horseradish and seasonings to kick things up. 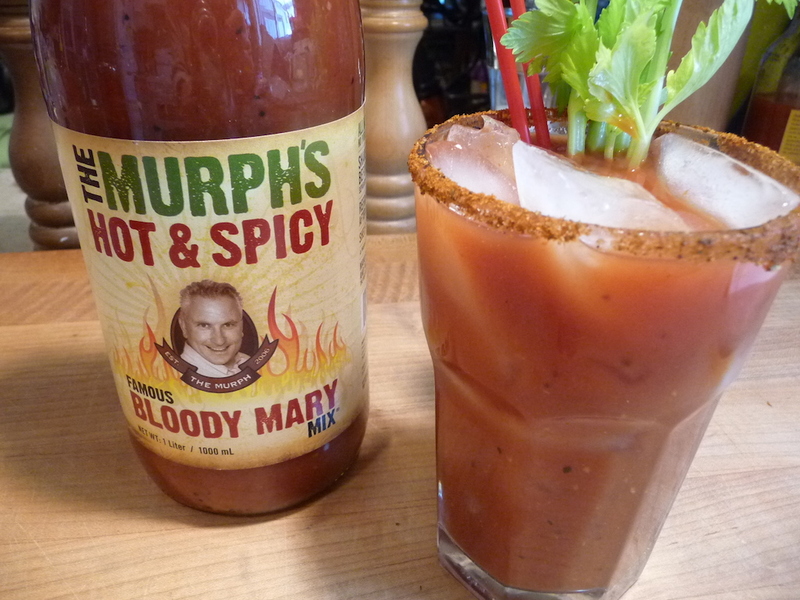 Heat Level: – Just a notch above mildly spicy, Murph’s Hot & Spicy brings on some heat, but I wouldn’t call it “Hot”. That’s probably a good thing for the general public. Final Thoughts: Cayenne pepper fans will love this mixer, but we prefer the original Murph’s Famous Bloody Mary Mix over this version. 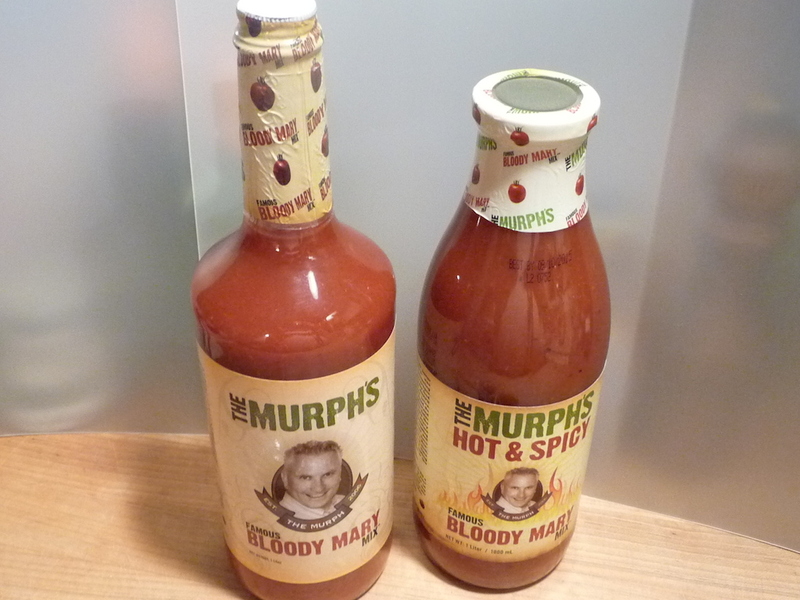 Kudos to Murph for changing the packaging for both recipes to the nice wide mouth bottle. It’s still a full 1 Liter of mixer, in a better package. Stephen “The Murph” Murphy created his original Murph’s Famous Bloody Mary Mix to overcome “bland” mixes that just didn’t cut it. 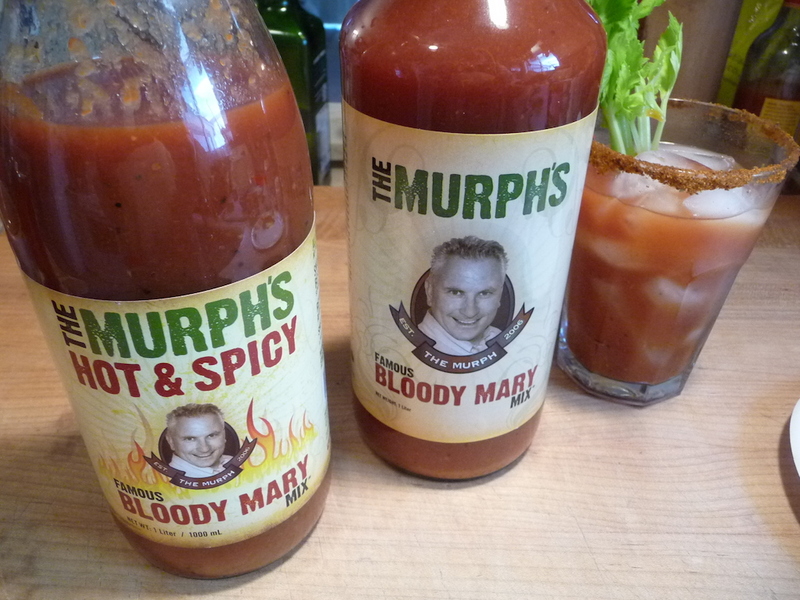 Featured on the Today Show, The Murph’s Bloody Marys were a favorite of Kathie Lee and Hoda! Visit MurphsFamous.com for a very entertaining experience. Check out the Murph TV section for great videos and the Recipe section for unique recipes like Bloody Meatloaf, Gazpacho, Hot Wings, Brisket marinade, and Salsa Sauce and Shrimp Cocktails. Good stuff indeed! Cheers! And thanks for reading HotSauceDaily.com!